Haven’t had a chance yet to check out Tuesday’s second episode of Larry Wilmore’s new late-night vehicle, The Nightly Show, but Monday’s first installment definitely showed some promise. Filling the timeslot of American treasure The Colbert Report had to be extremely daunting for Wilmore, but he seems to be off to an encouraging start. While the show doesn’t arrive fully formed like Last Week Tonight with John Oliver did on HBO last April, Wilmore’s struck gold with the show’s final segment (which will hopefully be a nightly staple) called “Keep It 100,” which he describes as “like Truth or Dare for white people, without the dare.” It consists of Wilmore asking each member of his panel (which on the opener included NJ Senator Cory Booker, rapper/activist Talib Kweli, and comedian Bill Burr) a question that they have to answer with 100% honesty, with the studio audience judging how truthful they were. Wilmore also turns the tables on himself, offering his viewers a chance to ask the same type of question of him via Twitter each night, which he purports not to have seen ahead of time. 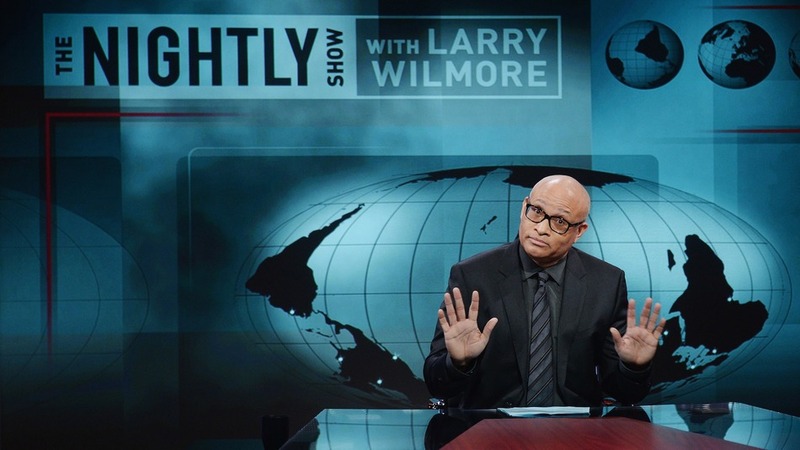 While there are still a few wrinkles to iron out — which is to be expected — The Nightly Show looks like a worthy complement to The Daily Show, and to be honest, it’s refreshing to see someone as talented and funny as Wilmore among the all-too lily-white faces of late-night TV. You can check out the debut episode for yourself below courtesy of Hulu. Is Empire the “Black Dynasty”? 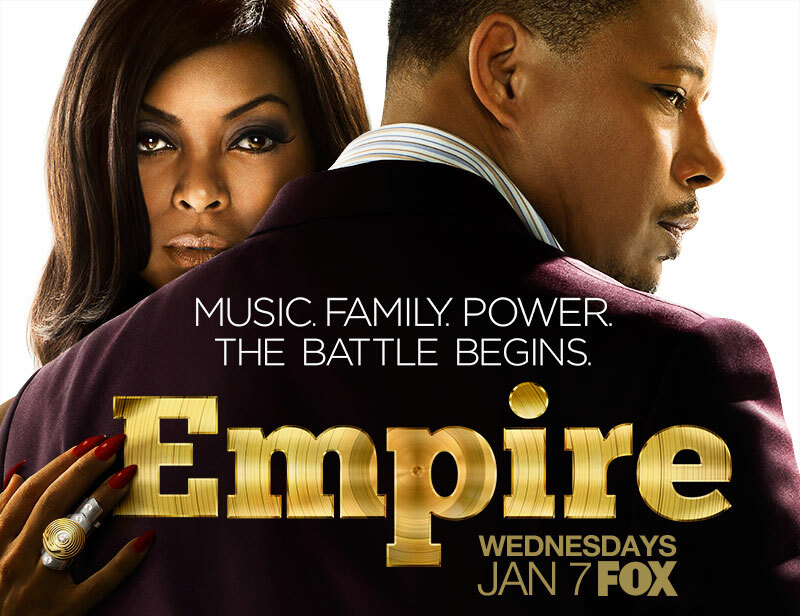 We’re going to be spoiled for good TV in 2015 if this keeps up, as the new year’s quality run continues with the premiere of Fox’s Empire. 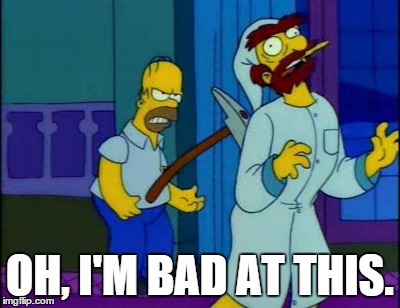 I was healthily skeptical going into this one, what with Fox’s incessant promos with the – if we’re being honest – incredibly annoying “No Apologies” song blaring seemingly every five seconds on the network during the month of December. In addition, when you add to it the fact that noted eccentric Terrence Howard was top-lining it and that Fox’s last musical skewing hour-long was the execrable Glee, Empire seemed to have disaster written all over it. Perhaps that’s why Empire arriving as all of the best of that long-forgotten genre – the prime-time soap opera – came as such a surprise, to the point that some are saying that creator Lee Daniels is making “the black Dynasty.” The series follows hip-hop legend/entrepreneur Lucious Lyon as played by Terrence Howard (Hustle & Flow), who receives a dire medical diagnosis within the series’ first hour that necessitates him creating a succession plan for his label/conglomerate, Empire Enterprises. His candidates are his three sons: Wharton-educated Andre (Trai Byers), spotlight-shunning Jamal (Jussie Smollett), and young and entitled Hakeem (Bryshere Gray), with Empire promising to pit each brother against one another for the future of the company. Complicating matters is the reappearance of Lucious’s ex-wife Cookie (an arguably never better Taraji P. Henson), who shows back up in his life directly out of prison demanding restitution for taking the fall for Lucious on a drug deal gone bad, one that actually served as the funding for Lucious’s enterprise. With the former drug-slinging aspect, it seems clear that Jay Z served as at least a modicum of inspiration for the Lucious character, just as it’s possible that there’s a little bit of Frank Ocean present in Jamal. Though Empire sounds very soap-ish (and it is), it also deals with social issues like homophobia in the hip-hop world (Jamal is gay and Lucious is embarrassed by him) and interracial marriage (Andre’s white wife is derided by Cookie). In some ways, it’s almost like Daniels crafted the soap aspect to draw the masses in order to actually examine more anthropological issues. When it comes to the performances, Henson is the standout as the brash and memorable Cookie, and it’s easy to see why she ditched procedural pabulum like CBS’s Person of Interest for a showier and frankly more fun role like this. Howard is largely… fine, while Smollett also stands out along with Henson as the introspective Jamal. The characterizations are great, because no one (save maybe Jamal) is a total white hat or black hat. They’re all painted realistically in shades of gray. Ultimately, it seems that Empire’s going to be a delicate balance of the crowd-pleasing cheese for which soaps are famous and the larger social themes that Daniels wants to explore, so maybe calling it the “black Dynasty” is a little reductive. It’s entirely possible that a show that burns as hot and as fast as this does could lose its fire quickly, but for now, it looks to promise a great deal of thoughtful fun. *Lucious is originally from Philadelphia. Philly Represent. *To really drive the point home about Lucious’s bigotry when it comes to his son, he’s a “sexuality is a choice” kind of guy. *It looks like there are going to be flashbacks interspersed regularly to fill viewers in on where the characters came from. For instance, we see one of Jamal dressed up in women’s clothes as a kid and then catching a beating from Lucious, who also stuffs him in a trash can to Cookie’s disgust. *There’s a twist at the end of the episode that sees Lucious sharing something in common with The Shield’s Vic Mackey, as least where pilots are concerned. Best Foreign Film: Uh… Ida? Maybe? I’m so far out of the loop when it comes to film of late, as I’ve seen none of (or very little of) the nominees for the Golden Globes this year, so this is an opportunity for me to look very, very dumb. But why not? This is also a reminder that the Hollywood Foreign Press Association really has no time for television and gets most of the TV categories out of the way first like a child chokes down its vegetables at dinner. Also, my picks are what I think will win, as opposed to what I think should win (such as the ridiculousness of no nominations for The Americans, which is the best show on TV in my humble opinion). Marvel is on a hot buttered roll right now, with its tentacles touching everything from movie theaters, television networks, and even on-demand giants like Netflix. 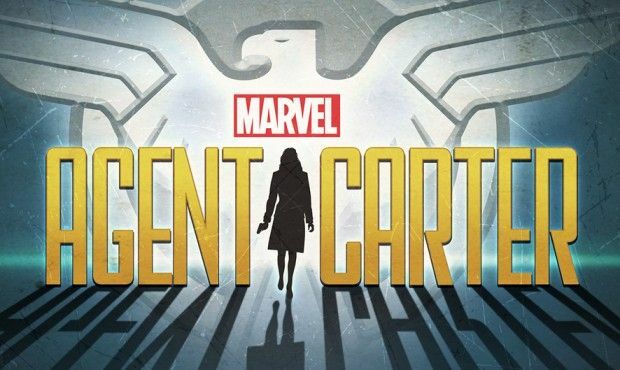 The world’s arguably foremost comics company is currently in the midst of a near-unprecedented, sprawling journey that sees it bringing its characters to screens everywhere in an interwoven narrative, and ABC’s Marvel’s Agent Carter is the latest offshoot on this voyage. Taking the Peggy Carter character from the Captain America series and building a show around her, Marvel’s Agent Carter stars Brit Hayley Atwell as the titular Carter. As the central personality, Atwell has a strong screen presence that allows her to anchor a cast of familiar faces that that includes Dominic Cooper returning from the films as Howard Stark (AKA Iron Man/Tony Stark’s father), Shea Wigham (Boardwalk Empire’s Eli) as her superior at the S.S.R. (Strategic Scientific Reserve), and One Tree Hill’s Chad Michael Murray and Dollhouse’s Enver Gjokaj as fellow agents. The thrust of the series sees Stark enlisting Carter to clear his name after he’s accused of treason by way of selling weapons to enemy organizations, thus putting the S.S.R. on his tail and Carter in a number of precarious positions as she hides her clandestine mission from her co-workers. There’s also a twist near the end of the first episode that puts allegiances in question in an interesting manner as the narrative moves forward. What sets Marvel’s Agent Carter apart from the Marvel series that it’s replacing in the ABC lineup – Marvel’s Agents of S.H.I.E.L.D. – is that is has style to spare, which is evident almost immediately with the shot of Carter walking to work in her bright red hat and lively blue suit, the only hint of color in a sea of drab gray commuters. It also feels – at least in its first two hours – less like a television show and more like a Marvel film that’s been chopped into eight equal parts, as the first season will run only eight episodes. That, along with its production values (which are high), already make it feel more like a true Marvel project than Marvel’s Agents of S.H.I.E.L.D. does, though I’m admittedly only halfway through season one of that show and have heard that there was a quality uptick. Its fight sequences are also impressively staged, making Atwell potentially the next in a long line of strong female television action heroines. With more Marvel television shows on the way as a part of the company’s deal with Netflix – which includes April’s Daredevil as well as series based on the Jessica Jones, Luke Cage, and Iron Fist characters – Marvel’s Agent Carter stands perhaps as the template for the quality that we can expect in future series that promise to bring all of the fun of Marvel’s big-screen adventures to the comfort of your couch. *Shea Wigham just can’t stay away from period pieces, apparently, as his Roger Dooley has more than a little Eli Thompson in his DNA. *In addition to the actors listed above, other TV vets like Lyndsy Fonseca (Nikita) as Carter’s new neighbor, Andre Royo (The Wire) and Ray Wise (Twin Peaks) as notable guests in the first two episodes respectively, and Costa Ronin (Oleg from The Americans) as Howard Stark’s future partner Anton Venko are all present in the first two hours. Agent Carter apparently has one hell of a casting director. *As someone who’s only familiar with the majority of these stories via the films, the fact that Howard Stark’s assistant Edwin Jarvis shares a name with the butler/OS software that Tony Stark uses in the Iron Man films and in The Avengers isn’t a coincidence, is it? The intro when Dave realizes the inappropriateness of the Catfish And The Bottlemen album cover and then essentially just says “Eff it” anyway is just one of the reasons that Dave is great and will be sorely missed after he signs off in May. Oh, and the track’s pretty great too. Just copped the record and like what I’ve heard so far. For the first post back, I’m taking a look at the first all-new series of 2015, ABC’s Galavant, which is a show that took me somewhat by surprise because the advance word didn’t seem to be overwhelmingly positive. In addition, ABC’s strategy of double-pumping it over four weeks had the odor of burn-off. Added together, I was very wary going in, but I ended up being mildly shocked by just how much I enjoyed it. 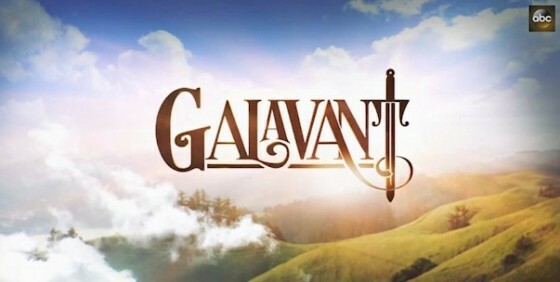 Galavant stars the relatively unknown Joshua Sasse (Rogue, The Neighbors) as the titular Galavant, a knight suffers his love Madalena (Australian model Mallory Jansen) being taken from him by the effete and evil King Richard (a never-better Timothy Omundson from Deadwood and Psych). Galavant is later enlisted by the *deep breath* Princess Isabella Maria Lucia Elizabetta of Valencia (Strike Back’s Karen David) as her champion in a conflict with Richard, piquing his interest with word of how much Madalena claims to miss him. As the seconds to Galavant and Richard respectively, Luke Youngblood (Magnitude from Community – POP POP!!) and Vinnie Jones (various Guy Ritchie films) round out the cast. Surprisingly, Galavant offers higher than average laughs in its first two episodes, mostly as a result of its Alan Menken-penned Flight Of The Conchords-esque songs that the characters use to flesh out the storylines. Additionally, a medieval musical comedy is rather unique for television right now, so it has its own niche to carve out in forms the comedy counterpart of sorts to similar (albeit non-musical) on-trend dramas like Game Of Thrones, Reign, and Outlander. My sense was that the premiere had a little more steam than the second episode did, largely because of the problems I had with what seemed like a miscast John Stamos’ performance as Galavant rival Sir Jean Hamm (unfortunately, that was actually the character’s name) in the second installment. Future episodes promise guest stars like Rutger Hauer, Anthony Stewart Head, and Ricky Gervais (!! ), so hopefully they fare better than the admittedly game Stamos did. Ultimately, you could do a lot worse than spending three or so hours with Galavant over the next month, though there may be more than that to come in the future since it did a surprising aggregate of 7.34 million viewers its first time out on Sunday. Though it’s not perfect, I do think that Galavant is beginning to charm me.